Out of all the photo apps currently populating the app store, a few stand out from the pack as more unique, more beautiful, and more simple to use. 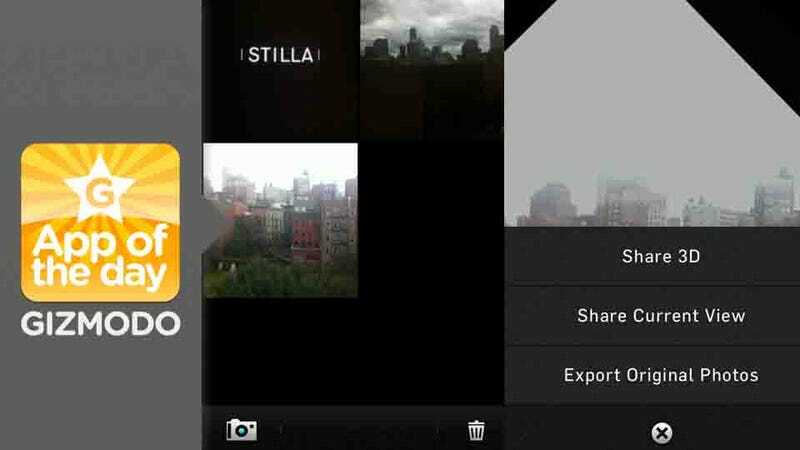 But Stilla, a camera app which utilized the iPhone's gyroscope, is one that does. It directs you to take multiple snapshots of the same subject from different angles, and using the recorded positional data from the gyroscope, stitches them together to make one cool 3D image.